Your business's vision. In perfect focus. Amplify's goal is to make your business increase in volume, in efficiency, and in profit. We want to support your plans, ideas, and dreams with our team's collective know-how. Whether you have an established business or are just getting started, let us take a look at your business and see if we can Amplify your bottom line. Pete has spent more than a decade crunching numbers and leading the accounting departments of companies ranging from the aerospace industry (as Controller and CFO) to one of the nation's largest accounting firms (as a Senior Auditor). He's lead companies through many an audit and has assisted in several large scale SAP implementations. William began his real estate career before he had a driving license: he received his real estate license as a junior in high school. After graduating from college, William spent a few years working in a commercial construction firm, then moved on to complete post-grad in Real Estate Development. He has since held such various roles such as marketing & research analyst, broker, property manager, project manager, and asset manger at several large, respected firms in South Carolina. Chad brings more than two decades of construction, real estate, and development experience to the Amplify team. He is one of the rare individuals that does exactly what he went to school for ... twice. With degrees in both Building Construction and Real Estate, he is a licensed General Contractor and Real Estate Broker. Throughout Chad's career he has worked with national contractors, real estate investors, developers, and on his own ventures. A true devotee to the ideals of order and symmetry since her childhood days in Vermont, Caitlin discovered the pivot table function of Excel in college and never looked back. After completing a grad degree in southern California, Caitlin moved to Charleston to stay south of the snow but closer to home. It was here that she began her professional career developing the accounting processes of small businesses while working for a small firm. Wise enough to understand that his philosophy degree would be of little value in the business world, Chad taught himself website development in the years following his commencement. Chad specializes in designing, programming, and copywriting responsive, data-driven websites for small to medium sized businesses. He also creates brand identities, produces and edits video, and has had a few photographs published. He has worked for businesses in Nashville and Charleston as a graphic designer, web developer, and creative director. 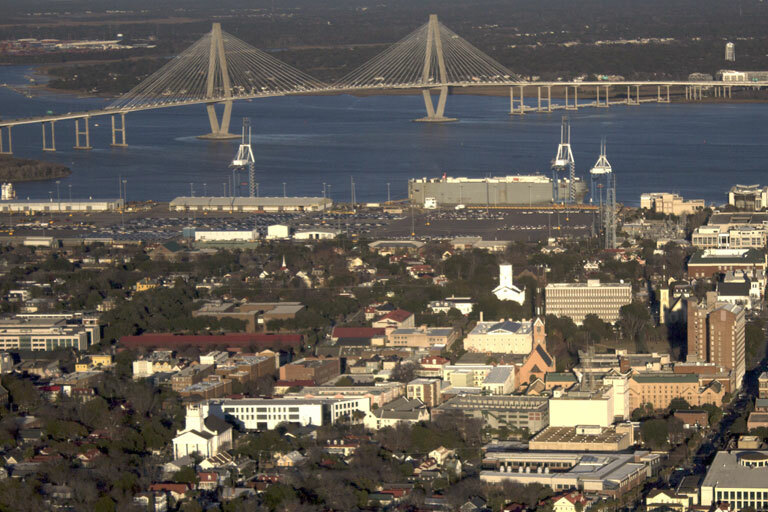 Chris was born in Charleston, SC and has lived in Mount Pleasant for over 50 years (literally within the same 5 mile square). Chris has an extensive customer service background working in such various industries as food and bev, wine sales, real estate, and the charter aircraft business. If you want it done right and with a smile, Chris is your man.